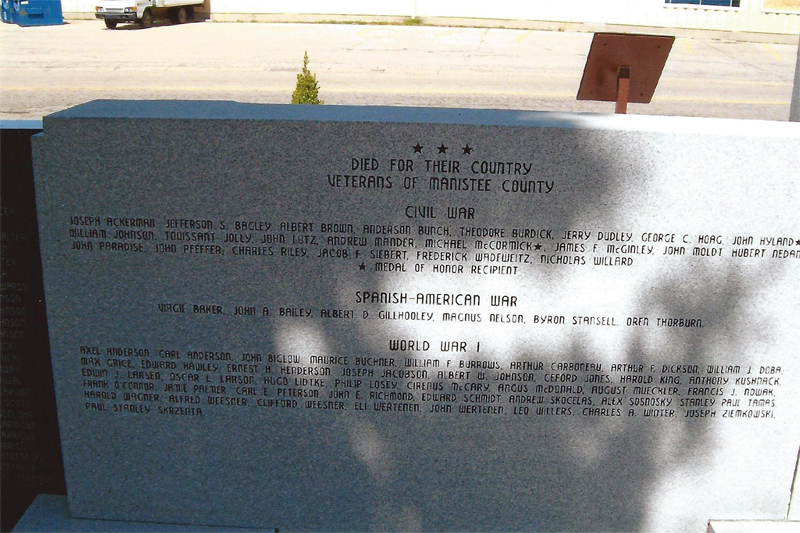 This stone monument facing south to the Manistee River in downtown Manistee has the names of Manistee veterans listed by War. 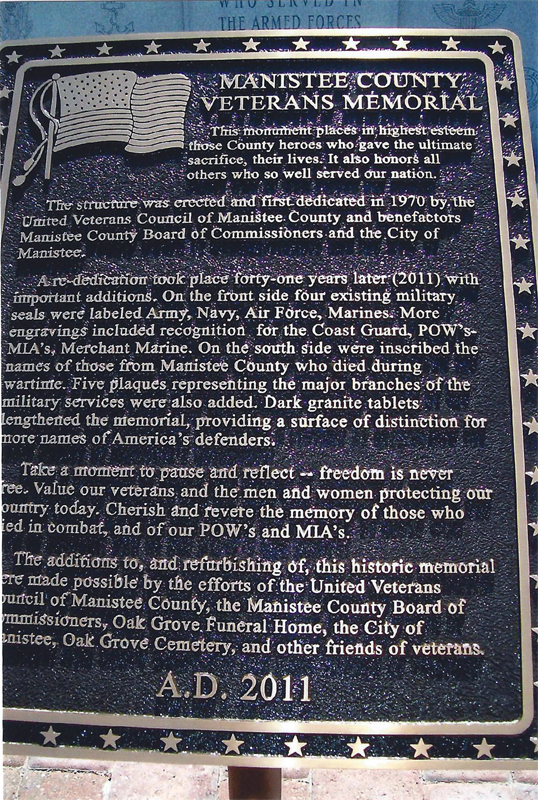 The memorial is part of a city park which also includes a grassy area with seating area for a bandstand. 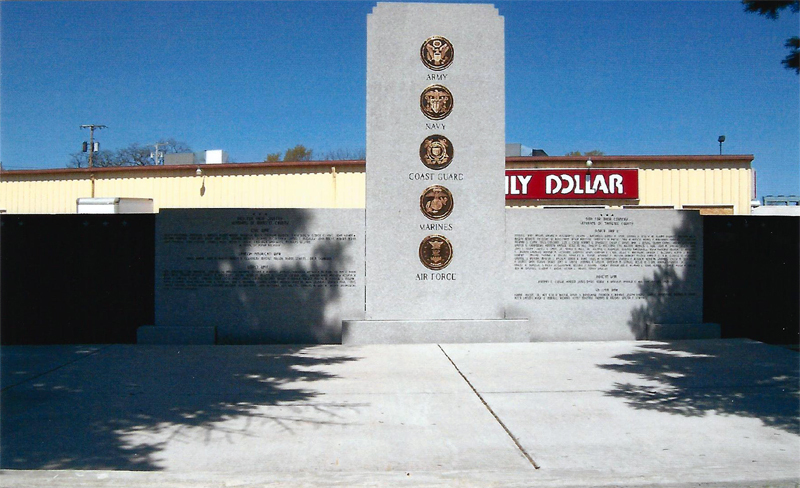 Four symbols represent the Army, Navy, Marine Corps & Air Force. The Civil War Honor Roll contains 22 names including Michael McCormick USN & John Hyland USN both Medal of Honor recipients. 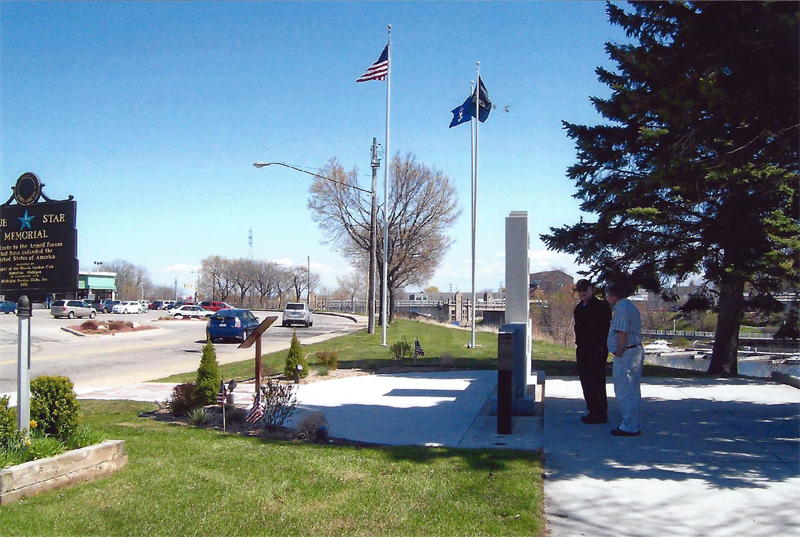 Hyland is buried in a nearby cemetery. 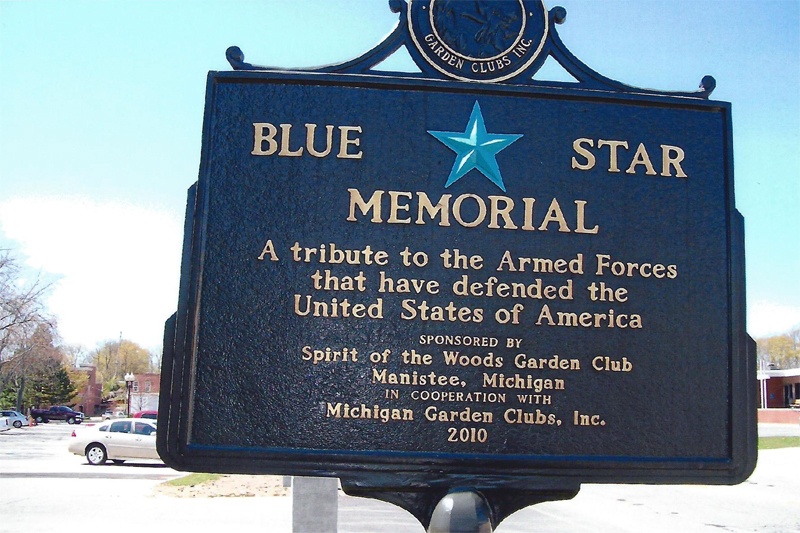 A Blue Star Memorial plaque is on the site & recognizes the Manistee Spirit of the Woods Garden Club for their work on the park.